Metropolitan Design/Build has been repairing and replacing homeowners roofs throughout Bethesda Maryland for over 2 decades! Homeowners throughout Bethesda have trusted us for all their roof replacements and roofing repairs. Bethesda, just outside of Washington, D.C. is a well-established area with a mix of newer many older homes with roof types of many different styles. Your roof is the first line of defense against the harsh weather this area can dole out. Bethesda has experienced everything from hurricane force winds, heavy rains and hail to the harshest winter blizzard conditions and it all beats right down on your homes roof. At Metropolitan Design/Build we have the skill and roofing knowledge to replace your roof or make a roofing repair the right way. Our expert roofing installers can replace many roofs in one to two days. We are certified by the leading roofing manufacturers to ensure that your roof is installed exactly the way the roofing manufacturer designed the material to be installed. We adhere to the strictest guidelines that will ensure that your homes most valuable asset the “The Roof” will last and hold up the strongest of storms. With our many years of experience, we are able to get your roof replaced or repaired quickly and with very little disruption. Our professional staff can provide you with many options when replacing a roof which would include materials used, color options, also such items as any vinyl trim or any siding that many need to be replaced. Our goal is to make your roof repairs or replace your roof and restore your home to the level of protection you require. We’ll work with you to repair, or if necessary, replace your home’s roof all while staying with your set budget. We provide aggressive affordable pricing for roof repairs and roof replacements. The Bethesda, MD area experiences many powerful storms each year and with the strong storms come intense winds, heavy rains, which many times easily bring down large tree limbs and trees that close to a house can damage roofs. When a tree or large limb damages a roof, you need repairs made fast. We are prepared to help inspect your homes roof in the case of emergency roof damage and able to make temporary repairs until the complete fix is made. Roof emergencies are never expected but they occur and when they do you can count on Metropolitan Design/Build to respond quickly and professionally any time of year. We are a full-service contractor and our main business is roofing but we don’t stop there. 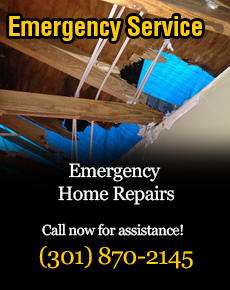 We also provide many other services to homeowners throughout Bethesda, MD. Our team of professionals are also trained and skilled at installing new siding, seamless gutters, replacement windows and many other services. If you are interested in services other than roofing, please ask our staff when they arrive for more information on whatever project you may have in mind. We will be very happy to discuss your project needs in detail. 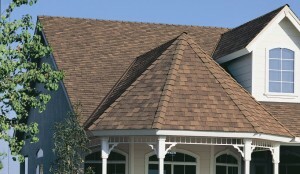 We welcome the opportunity to work with you on your next roofing project.